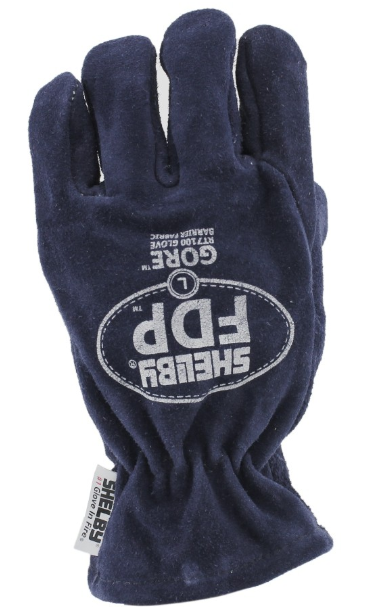 On Scene: 10% Off Structural Firefighting Gloves! 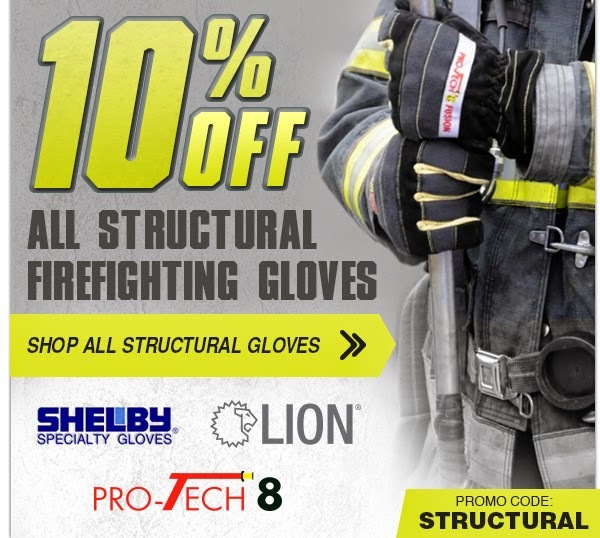 10% Off Structural Firefighting Gloves! Good Morning! We wanted to drop in to let you know about a hot sale on Structural Firefighting Gloves....yes, ALL Structural Firefighting Gloves. Right now on our site you can get 10% off with promo code STRUCTURAL at checkout. With a ton of great brand options you can take your choice and enjoy the perfect fit glove for you. Let me show you a few different options. All of these, with that special promo code at checkout will be 10% off. So check out the different gloves here and on our site, and get your pair ordered today! Maximize "gloves-on capability" through all your fire ground tasks…Structural, Wildland, and Extrication. The FDP series glove with the Shelby barrier system, uses waterproof, breathable GORE technology to provide a look, feel, and performance different from any other glove used by Fire Service today. Shelby Glove produces the finest fit, with proven durability, to ensure unbeatable performance and protection for those who serve. The innovation of the industry's first ever cut and sewn e-PTFE fire glove barrier system, along with its waterproof, breathable performance, provides an excellent integration of technology and manufacturing expertise. The GORE RT7100 Glove Barrier Fabric is uniquely suited to complement the highly engineered Shelby cut and sewn glove system, and is perfectly crafted to fit Shelby's anatomically correct outer shell glove patterns. Available in sizes XXS-Jumbo. The Shelby FDP breathable barrier thermal liner glove system is individually graded and produced in as many sizes as glove sizes. 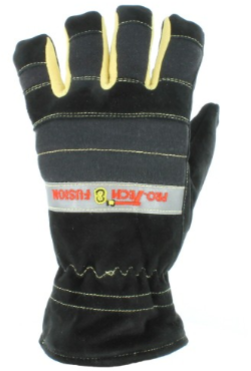 These barrier/thermal liner glove systems are sized proportional to human hands. This glove is constructed of 3.25 to 4.0 oz. Midnight Blue Koala Tanned Cowhide (will remain soft after repeated soakings), and Gore RT7100 Glove Barrier Fabric. Gauntlet or Wristlet Style. It is NFPA Compliant, Fire Retardant and Heat Resistant. 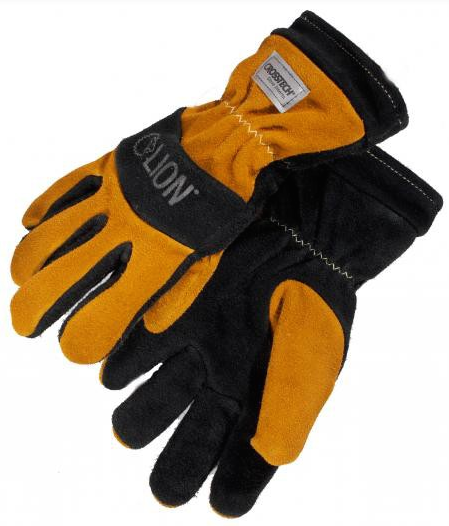 The Shelby FDP gloves meet or exceed current NFPA 1971 requirements. Extreme dexterity for extreme FireFighting…The Commander has arrived! Our stock of Structural Firefighting Gloves is no doubt a large one. With brands you know and trust, you're sure to pick a pair you're gonna love and that will protect your hands, while giving you the dexterity you need to complete your job. Don't forget, after cruising our website and finding your perfect pair---add to cart and add promo code STRUCTURAL for an extra 10% off.